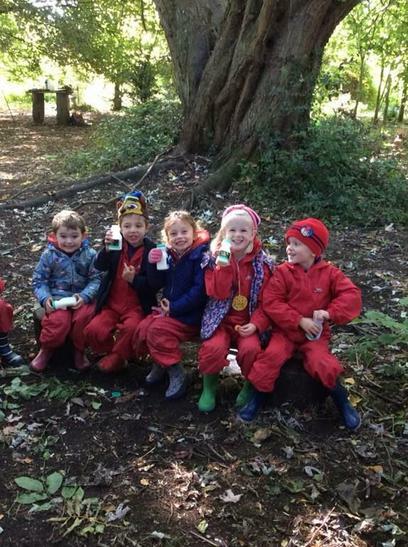 At Cheriton Primary we are dedicated to providing an opportunity for all of our children to participate in Forest School and have been doing so since September 2016. 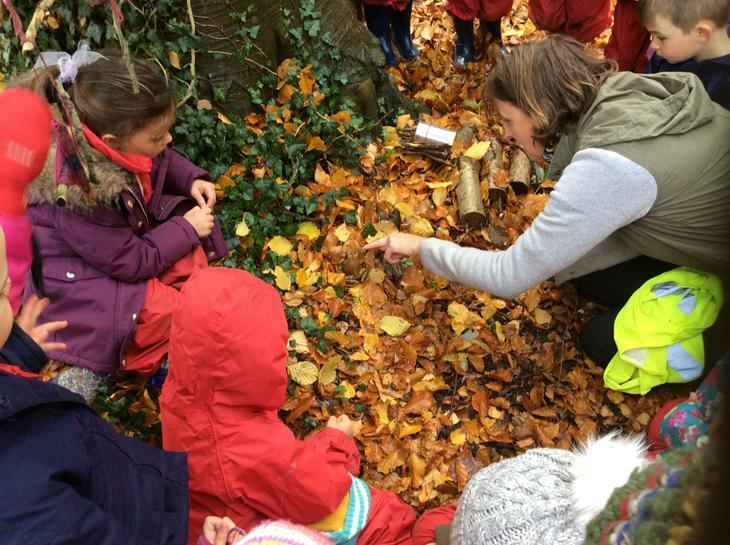 We are extremely fortunate that Mrs Rebecca Prior (Bee), a Level 3 Forest School leader, is our Forest School Teacher at Cheriton Primary School . Perhaps it is easier to start with what it is not. It is not classroom-based or curriculum-specific nor is it driven by academic assessment criteria that focus on targets and assumed measurable progress. Sessions are not broken into time or task-specific chunks with a predetermined agenda, skill or assessment. It is not about forcing children to perform death-defying tasks in front of others. It is not a new fad thought up by or delivered by tree-hugging hippies who wear kaftans and live off-grid. If it’s not this – what is it? 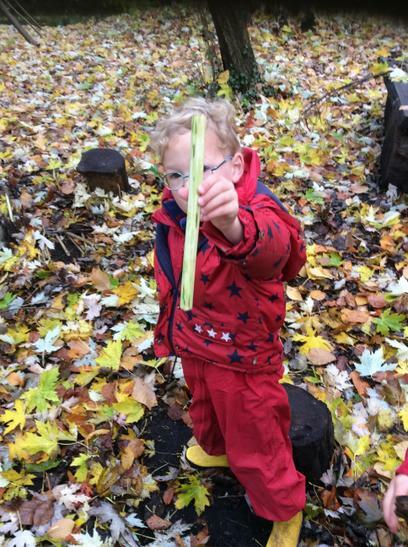 Forest School is not a ‘school’ in the conventional sense – there are no buildings. The experience gives children and adults of all abilities regular opportunities to gain confidence and self-worth. 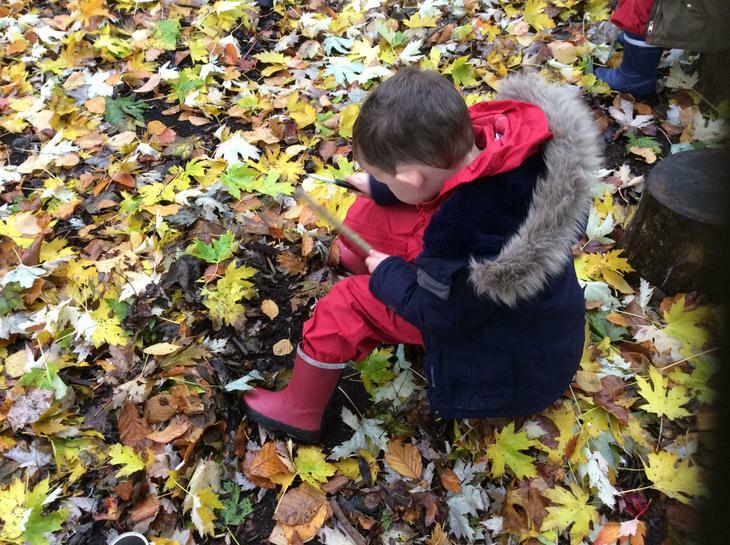 Forest School is a great place to relearn about play and self-discovery which are then brought back into everyday life and learning. Forest School takes place outside, with each session lasting no less than two hours, over a period of six to eight weeks, sometimes longer. In the case of Cheriton, all children participate in a block of 10 weeks whilst our Reception children have 30 sessions. Each session is based on the 6 key principals of Forest School. Forest School may take place in the woods, in the grassland, in the open. At Cheriton it is The Triangle Wood by the generous permission of the Cecil Family. 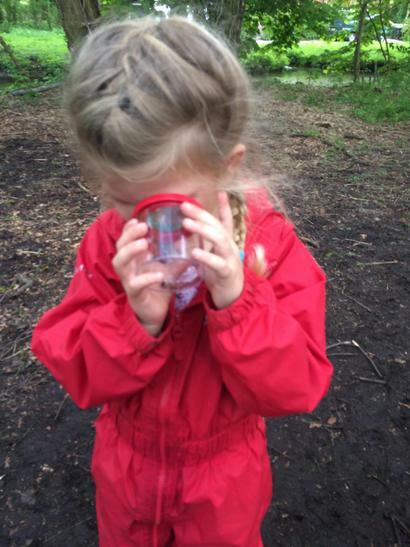 What is the ‘background’ of Forest School? Forest School is based on 6 key principles. 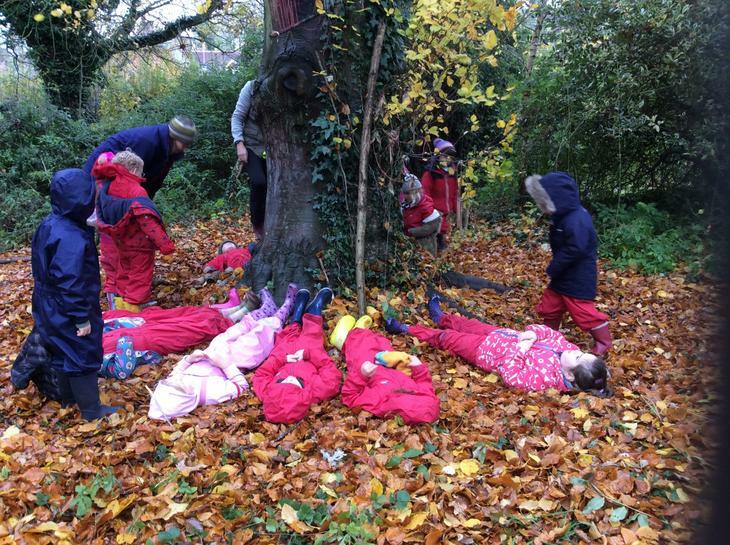 Forest School is a long-term process of frequent and regular sessions in a woodland or natural environment. 2016 marked 21 years since the first identifiable Forest School session in the UK. Since that time the movement, both local and national, has been growing. This interest in and increased success of Forest Schools at both a local and national level is to be celebrated. 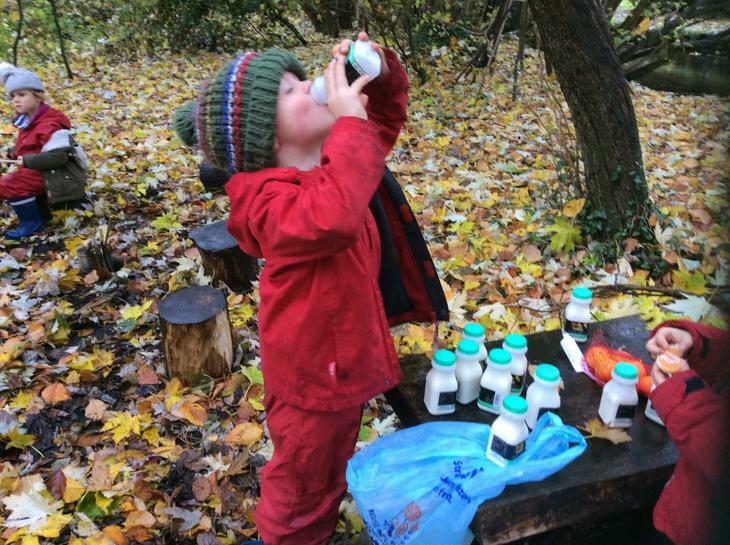 You only have to type Forest School into a search engine to see the range of experiences, resources and training on offer to see its growing appeal. It is of equal importance to reflect, that whilst many may choose to link this growth to the influence of the Scandinavian countries, that actually this trend shares our historical national roots in childhood exploration and play. The Scout movement of 1907, the first Outward Bound Trust Centre in 1941, and the government’s child-centered educational policy of the 1960’s, all share the Forest School ethos and much of its practice. However, in our more recent history, natural play and exploration has become less common. From the 1980’s onwards, play has been restricted by curriculum and exam-based education. 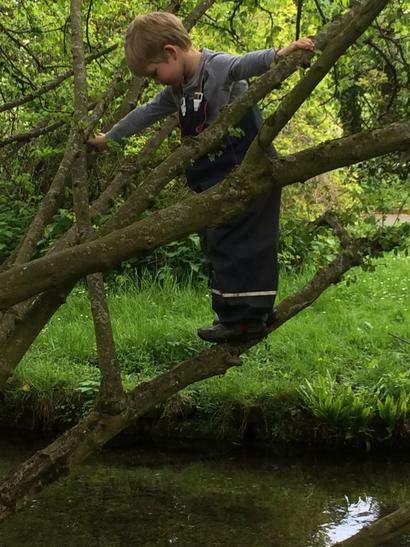 The removal of many natural play spaces combined with a fear of the unknown has resulted in many children having their natural inquisitive nature limited. At a time when much of life and play is inside and static, this experience provides an opportunity for children of all ages as well as adults to be outside, to be reminded of what it is ‘to be’, whether that is to be still, to explore, to play or to wonder, to question. 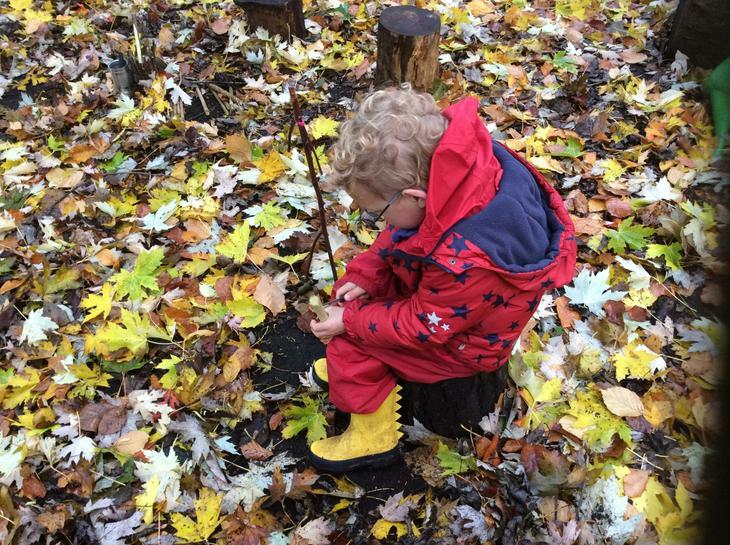 Forest School has a distinct approach, that can be summed up as play-based, participant-centred learning, combined with observation and evaluation in the presence of a Forest School teacher. Those participating will explore, learn, achieve and develop skills with wood, insects, trees, fire, mud, water, seasons, string, knots and more. Through their choice of tasks, they will play, develop and practice skills and they will become more resilient to challenges and take ever-increasing joy and delight in their successes and those around them. They will take what they ‘learn’ with them back into the classroom and into their everyday. 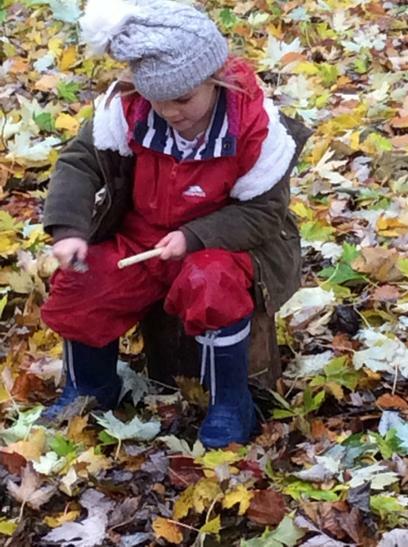 Can PLAY at Forest School be linked back to the curriculum? 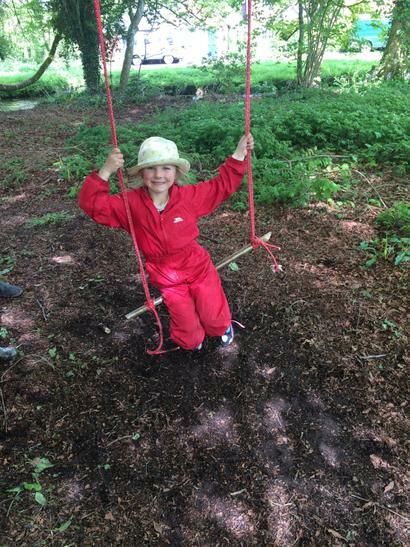 Forest School is child lead and therefore it not driven by the National Curriculum. 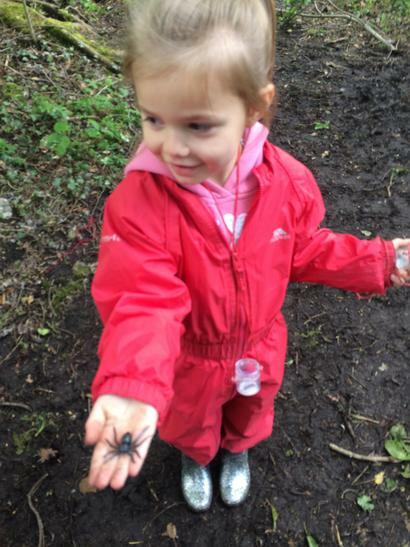 That doesn’t mean that Forest School doesn’t provide a unique environment for learning. It forms an important part of the Cheriton curriculum which seeks to make our aims and values a reality. Of the six Forest School principals it can argued, with ease, that three make reference to freedom of choice, but also of ‘learning’. To promote the holistic development of all those involved, fostering resilient, confident, independent and creative learners. To offer learners the opportunity to take supported risks appropriate to the environment and to themselves. To use a range of learner-centred processes to create a community for development and learning. As explained above, there is no specific curriculum focus to the planning and delivery on Forest School. However, it would be very wrong to assume there is no ‘cross over’. Close working with all class teachers at Cheriton Primary School enable Rebecca (Bee) to be aware of their topic work, literacy focus or specific vocabulary they are focusing on in Science. She is able make specific reference and reinforce , where relevant, the link between the wood and classroom. Science is also a key part of the Forest School experience. Seasonal change runs through the whole year. An understanding of the nature of trees through Spring, Summer and Autumn and Winter. The specific vocabulary to describe these changes. The impact of temperature on key elements of water and nature. The bio diversity of the River Itchen and why it is an SSI of international reputation. How to find and identify a range of mini beasts. Appreciate the environmental impact we have in the woods and how we can reduce long term damage. At a time when all of us are too static, including school children, it is important to highlight the huge amount of exercise that takes place at Forest School. The majority of the children are on their feet for two and a half hours. During this time they use a combination of gross and fine motor skills. They engage a huge range of muscles – whether climbing, sawing, swinging or jumping. Den making alone is a full body work out! Such physicality no doubt has a positive impact on their everyday life, but also in more structured PE lessons. Perhaps the most important ‘curriculum link’ is that of well-being. 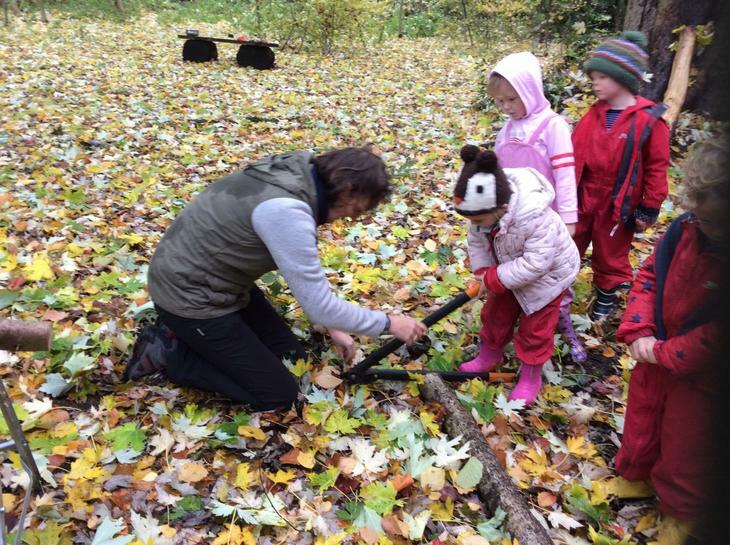 Forest School gives us all, children and adults, an opportunity to connect with nature and the fresh air. Much of this well-being is achieved by just being outside! However, each session includes a time out – where we lie on the ground under the ‘hello goodbye tree.’ These precious minutes enable us to focus on our breathing, the weight of our bodies on the ground and listen to the sounds around us. It is a time to let go of worries, to relax physically and emotionally. It is my hope that such techniques are practiced during other elements of their week or life.